I wasn’t always a morning person. In fact, it wasn’t until I discovered The Miracle Morning that I decided to ditch my night owl tendencies and start to wake up earlier. Morning routines really just set the tone for the rest of the day. If you wake up and you're already feeling hurried, that energy takes you throughout the whole day and you never really feel like you catch up. But if you start the day intentionally and say, “these are the six things that I'm going to do to start my day” and get those done, you already feel so accomplished. You feel like you can take on anything for the whole rest of the day. 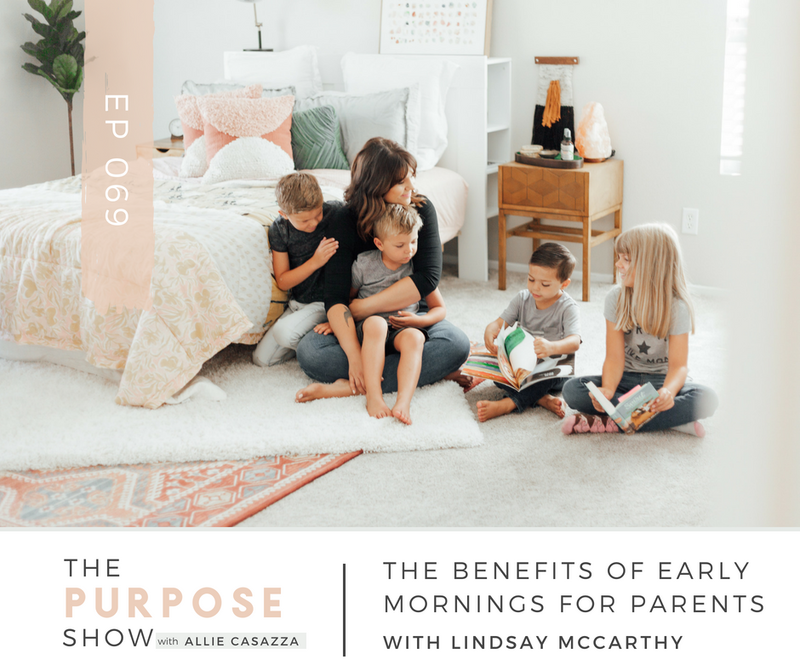 Lindsay McCarthy wrote her book, Miracle Morning For Parents and Families because once she really started implementing a morning routine, she saw how much it worked and all the benefits that came from it. And she has just really taken charge of her mornings for her family, not just for herself. After speaking with her, I think I'm going to start some “miracle morning” stuff with my kids as well and not keep it just for myself. I hope you take action to do the same for your family too! The importance of morning routines and the benefits of taking advantage of your mornings. How following the S.A.V.E.R.S routine will benefit your mornings. Ways you can include your kids in your morning routine and ways they can stay occupied while you go through your routine. The power in teaching your kids about morning routines and how to help them form their own. Hey, beautiful Mama's! I am really looking forward to sharing today's interview with you! I sat down and spoke with Lindsey McCarthy. She is the author of The Miracle Morning for Parents and Families and this book is sort of a branch off of the original book that was written by Hal Elrod called The Miracle Morning. And that book is really special to me. It was the start of early mornings for me probably about three years ago when we had just moved to Arkansas. It was during a time in my life when I was such a night owl, had a lot of stress and anxiety and just changes coming. It was at a point where I could feel God just pulling me to start the business, get more serious about blogging and turning it into something bigger. I didn't know how I was going to get all that done with Brian working at his “then” job and with the kids, homeschooling, and being away from all of our friends and family. I was kind of lost and wondering why the Lord had brought us out there and what for and The Miracle Morning plopped right into my lap, as I was listening to a podcast where the author, Hal, was interviewed. And so, I ordered the book. My mom had said, “Yeah, I read that book. It's great; you should get it.” I ordered the book on Amazon and dove in and it just really changed everything. It really inspired me. So, The Miracle Morning is kind of what started me on my passion for ditching my night owl tendencies and waking up earlier. And by “night owl,” I mean I was staying up till 1:00 or 2:00 in the morning, often. I was the legit night owl and it was really unhealthy. While I still have nighttime tendencies and I like to stay up, it's more like 10:30 and not like 1:30. So anyway, I just want to encourage you guys. Lindsey is awesome. She wrote this book for parents and families because she was practicing The Miracle Morning and having her children practice it as well. She has just really taken charge of her mornings for her family, not just herself, which I find fascinating. So, I wanted to have her on and share her take on this with you guys in case you wanted to start doing that as well. And after speaking with her, I think I'm going to start some “miracle morning” stuff with my kids as well and not keep it just for myself. So, I just want to encourage you to listen, to take action, because waking up early is life changing. I always say, and I will always say if you want to change your entire life in one small change, wake up earlier. And again, as always in my disclaimer when I'm talking about this, if you're in a season of pregnancy, newborns or breastfeeding sleepless nights, I want to encourage you and just have you know that this is not your time, girl. Your time will come. Those babies will grow up. The pregnancy will be over and things will shift. You will know when it is your time to start getting your ish together and kind of systemizing your day better. And if you're in a season like that, it is just not your time. And that's okay. Soak it up. I know it's cliche, but I remember being in that season and I wanted it to end so badly and I wish that I would have just soaked it up. So, I want you guys to know that there's a thing called “S.A.V.E.R.S.” in The Miracle Morning book as well as The Miracle Morning For Parents And Families. It's basically an acronym for what makes up your morning routine. Each letter stands for something. Lindsey goes over it. She mentions it a couple of times in the beginning in passing, and then I have her go over it in detail for you all. I just want to encourage you. My morning ritual has changed and progressed over the years as I needed it to. It started out with just straight up hustle. I woke up at 4:00 in the morning for almost a year and I worked for a few hours before Brian would go to his job so that I can be present with the kids during the day because I didn't have any babysitters or help. Now it's the opposite. It's very much about self-care and quieting my soul and focusing on where I want to go and what I want my life and my day to look like before the day even starts. I like it better now, but there definitely was a season where it needed to be work. 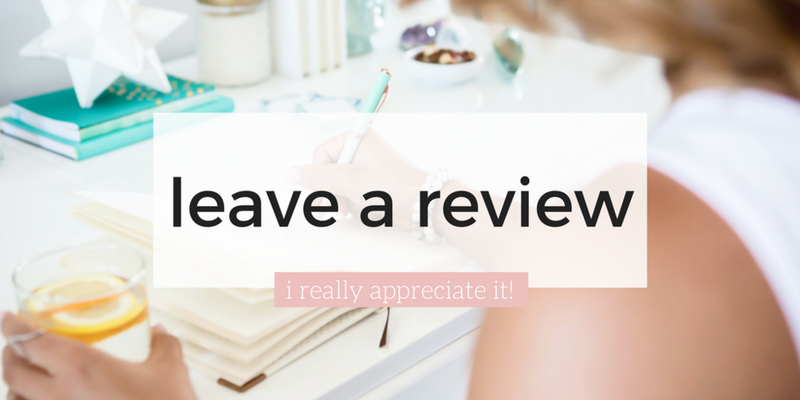 So, it's about making it work for you and where you're at right now in your life and who you are as a person, but I love the idea of S.A.V.E.R.S. and I love the idea of the specific things that it stands for. So, listen with an open mind. 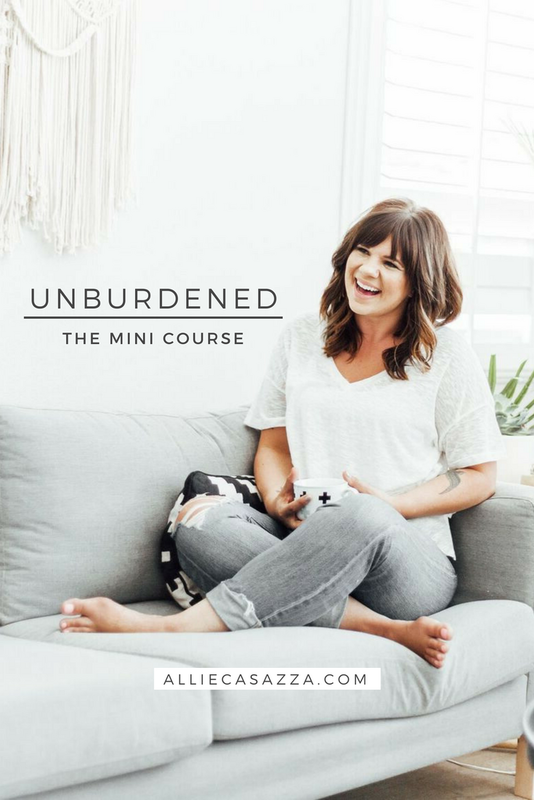 I encourage you to do some journaling, maybe after you listen to this episode. Jot down what you liked about it, what you don't think would work for you, what you're thinking of doing, and take action on this. So, let's dive in. ALLIE: Hi Lindsay! Thank you for being here with us! LINDSAY: Thanks for having me on today, Allie! ALLIE: Of course. Okay, so The Miracle Morning is a book that was originally written by Hal Elrod and you actually met Hal in person, right? LINDSAY: Yeah. We first heard him speak in 2014 and then we actually met him in 2015. ALLIE: Okay. And then so through that meeting you kind of build a connection and that's how you came to author the parents and families’ version of Miracle Morning, right? ALLIE: Yeah. It’s impressive and sweet that you guys brought your kids into it. The Miracle Morning is the book that kind of started me. I read it when we had moved to the Midwest and I was starting my business. Before that I had just been a stay-at-home mom and I got up before my kids but it wasn't so intentional. I didn’t have a bunch of stuff to get done as much as I do now with the business. And so, it was the answer for me. I'm like okay, this is how I can add length to my day. And I didn't think to bring my kids into it at all. Actually, I wouldn't have wanted to at that point because it's like you just do your thing and I'll do mine. But yeah, I think it's great. Tell us a little bit, and this might be a little vague, but tell us in your words why mornings matter so much, why it's important to show up for them. LINDSAY: I think it just sets the tone for the whole rest of the day. If you wake up and you're already feeling hurried, that energy takes you throughout the whole day and you never really feel like you catch up. But if you start the day intentionally and say, “these are the six things that I'm going to do to start my day” and get those done, you already feel so accomplished. You feel like you can take on anything for the whole rest of the day. ALLIE: Yeah, for sure. In The Miracle Morning For Parents And Families book, you talk a lot, I think it might even be a full chapter, about the benefits of taking advantage of your mornings, what it does for your psych benefits, and health benefits. Can you talk to us about that? LINDSAY: Some of the practices in The Miracle Morning include the acronym is S.A.V.E.R.S., so silence, affirmations, visualization, exercise, reading and scribing. So like I could go through all six of those and tell you all the benefits, but one other thing that Hal suggests is the very first thing you do when you wake up in the morning is drink a big glass of water. Just the benefits of that alone are staggering. It helps your skin. It hydrates your whole body. You have this energy boost from drinking that water. And then if you add exercise to that you get that serotonin going and you get your adrenaline pumping. If you add mindfulness or meditation that slows your heart rate down and the health benefits of that alone are incredible. Once you start adding all these little pieces together, it's this compound effect where you're just ready for the day. ALLIE: Yeah, for sure. That was my next question about the S.A.V.E.R.S., the acronym of S.A.V.E.R.S. for what you're doing in your morning routine. One of the things that I'm sure you get asked a lot is “Well if I get up early, what do I do though? What should I do with that time?” And it is a problem because there's so much to do and you woke up early, like a lot of the times, especially because of how early I get up and my kids are still asleep, it's almost a timer of pressure, like this is precious time. What do I do with it? And the S.A.V.E.R.S. really just gives us a little bit of each thing to where at the end of an hour you feel like a different person. You feel ready for your day. So can you go with us one more time through what S.A.V.E.R.S. stands for, kind of like an explanation of each thing and what is the whole deal with S.A.V.E.R.S. for people who haven't read the book? ALLIE: Yeah. It's like bettering your mind or bettering your growth, not just for the sake of reading something. LINDSAY: Right. After I read I like to journal or scribe. For our kids we've kind of adapted the scribing piece to just be anything creative, so they will draw, paint, play with play dough, make up a skit, or create an obstacle course. That one's really wide open for them. If you play music, if you do something creative, or you like to paint, have that be your journaling time. There's no rules. ALLIE: Yeah, I like that. As a parent, you're encouraging them to be their own person. Not everybody likes to journal. Sometimes I find that it stresses people out a little bit to feel the need to journal. But yeah, it can be anything. Paint or draw something. Yeah, I love that. Especially for little kids. I think it's so expressive for them and what a great way for them to start their day. ALLIE: And I think it’s about changing it to be positive because so often our story, whether conscious or subconscious is negative and focusing on what's going wrong. I got over that for myself and I would just do typical affirmations that weren't really true right now, but I was visualizing that happening for me. And so, I was okay with it. But I know a lot of people are like, “I just feel so weird. It's not doing what it's supposed to do.” Changing it to be positive. I don’t know where I read this, but somebody once said I am the type of person who (just changing mindset about yourself) who makes healthy food choices or whatever it is. I really liked that kind of stuff. ALLIE: Yeah. And that's more specific and helpful. I love that. So are there any S.A.V.E.R.S. left? LINDSAY: Visualization. Personally, I love vision boards so I have a whole big section in the book about how to create your own vision board. For me there's not a lot of material things on my personal vision board. It's more about what you said, like the affirmations, who I want to be as a person, not the material things that I want. ALLIE: Yeah, and correct me if I'm wrong, but I think the point of the visualization part is that our minds are so powerful and what we think about we tend to get, and so let's use that even just for five minutes a day. What kind of person do I want to become? What kind of kids do I want to raise? What kind of marriage do I want to have? What legacy do I want to leave behind? Just focusing on that. When you start every day, really thinking about that every day doing that, that's going to have some kind of positive effect. That's really powerful. ALLIE: I think too, it can help those mundane day-to-day things fall underneath this umbrella of is this aligning with where I want to go? Does this really matter? It can help the little things like being late to baseball practice, or missing it altogether one practice a week or something like that. It's okay because in the end this is what I'm trying to go for and meeting all of these check marks on my list doesn't really matter in the long run. It's kind of a graceful relief from the stress of the day. LINDSAY: The last one was just exercise. I save that one for last. Some people like to do that first thing in the morning to get their blood pumping. There's a million ways you could exercise. I like to try to include our kids in our exercise portion because by that time they're usually awake. We just do the 7 Minute App. That's another thing - it doesn't have to be this huge long workout, especially first thing in the morning. I look at it as the goal is just to get our heart rates up, to get our blood pumping to start releasing those endorphins. ALLIE: Yeah. You're not doing like P90X or anything. LINDSAY: Especially with the kids, no. ALLIE: And again that's such a relief to think like that. Because when I first was reading The (original) Miracle Morning and going over the S.A.V.E.R.S. thing, I was thinking (because I hadn't read the rest of it) “What the heck? This is going to be five hours.” Because I'm so all or nothing, I think exercise is a two-mile run, weights, squats. But it can just be a five-minute yoga video or just taking a walk. So yeah, I love that. It's very freeing to let go of those expectations that we often have in ourselves and just say, “Well I could just do seven minutes of something to just get my heart rate up and just get my endorphins flowing and to start the day off positive in this physical way.” It's so much less than “I’ve got to meet my weight goals” and stressing yourself out. ALLIE: I disliked getting this question because the days are different in our house and even the mornings are different and the order is different, but typically what does it look like for you? What time are you waking up? What part of the S.A.V.E.R.S. do you do by yourself and what part of it are the kids doing? How do you get them to do it separately? What does it look like in your house? LINDSAY: Right. My kids are 9 and 5, just so people are clear. Tyler, our 9-year-old is very independent. He has a little checklist of C.H.A.R.M.S. tracker that you can actually download online. It's a miraclemorning.com/parents and you can get a free tracker. We've laminated ours, so then he just uses a dry erase marker and he wipes it clean at the beginning of each week to start over. So, he's fully independent on his at 9. We have been doing this for three years now, so he understands these are the things we do in the morning. Our 5-year-old, on the other hand, she still needs a little encouragement and help with hers. She's great on creativity. We have a little section in our kitchen that's their craft area. There's little drawers with all the stuff that they might need or want for that. So typically, when she gets up in the morning, she'll come into my room. I'm usually still in bed actually. I wake up at 6:45, and I start my miracle morning in bed. I meditate in bed. I read in bed and I'll start to journal. Then when she comes in, that's when we go downstairs. I'll bring my journal with us and then we might start with story time. If she's super hungry, I'll make her breakfast or she might start with creativity while I finish up my journaling. Then we all eat breakfast together. So something I didn't say, too, is the kids actually have a different acronym, so theirs is slightly different. For adults it’s S.A.V.E.R.S. But for kids it's C.H.A.R.M.S., which stands for creativity, health, affirmations, reading, meditation and service. She'll be doing creativity while I'm journaling and then we all exercise together after breakfast. It might be a dance party in the kitchen, it might be Simon says, it might be a 7-minute app, it might be cosmic kids yoga, it runs the gamut. If it's nice outside, I might just send them outside to exercise and I'll exercise later on my own. We have a big swing set in the backyard and they'll go play swings. So like I said, it isn't really a typical morning. ALLIE: I totally understand. Yeah. But I mean it's kinda like one of those things where you have a guideline in your head of like, this would be great, but we're flexible. More often than not, for me at least, it doesn't go that way. My morning is pretty much the same every morning. But once the kids wake up, sometimes we'll have morning like that and other times we need to get homeschooling done because we got to go. LINDSAY: Give me the formula. ALLIE: So yeah, it's encouraging. LINDSAY: And were homeschoolers too. So, I kind of follow this thing of structure plus flexibility. And I think that’s why I attached so strongly to The Miracle Morning because the S.A.V.E.R.S. and the C.H.A.R.M.S., they're just these loose frameworks. But then you get to make it your own. ALLIE: Yeah, absolutely. And I love in The Miracle Morning community how people will totally change it and they step outside of the S.A.V.E.R.S. exact thing. Hal Elrod even says it's not supposed to be this terrible rigid thing that makes your mornings awful. It's supposed to be helpful. I remember seeing one woman that said, “I actually find that I do really well getting some work done in the morning so that I'm not worried about it.” I used to do that because I had to, but it makes me not want to wake up. And I love how you say that the way to get up in the morning is to want to do the thing that you're going to get up for and set yourself up for that success. Go to bed thinking I'm going to get up at 6:00 and I'm going to do a meditation and it really works. And so, when I stopped getting stuff done, let that be on my task list for the day, focused on self-care in the morning and doing the S.A.V.E.R.S. stuff, it totally changed. I started to wake up at 5:00 and I was totally good and ready to jump out of bed ready to go. And that's very unlike me. So, I love that you can make it your own. And speaking of that, that was another thing I wanted to cover because not everybody has read the book and I'll link to it so hopefully they will. But can you talk to us about people who maybe they work and they want to get this stuff done before they go to work and they have to get up really early and right now they are a night owl. What would you say about getting up early and how to make that happen for yourself? LINDSAY: Yeah. I would say start small and just wake up 10 minutes earlier tomorrow and implement whichever of the S.A.V.E.R.S. you're most attracted to. Start with that one. And then the next week wake up 20 minutes earlier and add two of them. I think once people get into the rhythm they start to see some changes in their life, like “Wow! Meditation is really powerful. I had no idea.” or “I actually loved journaling and I didn't know that.” When you start to see these little changes in your life, you'll want to do more and you'll want to wake up earlier. And so that's my advice is just start small and start with the one that you liked the most. ALLIE: Yeah, that makes sense, especially with what we were just talking about to make you want to get up. So my last question for you is do you notice anything different about your kids and your family dynamic from having this intentional time in the morning, most mornings? ALLIE: So what does that look like? What is the service? LINDSAY: Basically, we wanted to instill in our kids that it's not all about you. We are here on this earth to help other people. So we have built that into their miracle morning. A lot of times it looks like chores, but in our family we've reworded it to call them “family contributions,” which I think Amy McCready first coined that term. So it's like, how can you contribute to the family today? Hey, let's look outside of our house. How can you contribute at your homeschool program today? How can you contribute to the community? Wherever you're going, how can you be of service there? ALLIE: Yeah. I really liked that because it's so easy. It's just so easy for us as adults to divide and get caught up in our own calendar and to do list. You have your boundaries and you protect your time and your own stuff and it's easy to get sucked up in just that and forget we're here to serve. We're here to help and be a light and lend a hand when it's needed. I see it in my kids, because kids just naturally are self-centered, that's how we are. And so, you have to kind of like, “Okay, I see that you're very concerned about your horse lesson this week because you're planning your whole week around it, but we have other things going on. There’s other people in the house.” So it's funny to see to see that and not punish it, but just how can I redirect it? How can I show you that there's other things too? Let's be servants in this life. I love that. I think for me the miracle morning stuff, and the C.H.A.R.M.S., I love that whole idea. I think it's about taking these big things that we want to end up being when all is said and done and breaking them down in a tiny bite size pieces that happen every single day, which is how you end up with this life aligned with your intent. Instead of saying, “Oh, when I'm 80, I want to have a close relationship with my kids. I still want to be married to my husband.” I want all these big goals, but we do nothing towards them. So yeah, I love that. Thank you so much for spending time talking with us about this. I am sure that this episode is going to bring a lot of questions, more questions about morning stuff, so I will send everybody to your book. We'll link to it in the show notes and do you have anywhere that you want to send people to find more about you or social media or anything? Yeah, well I have a Facebook group. It's the same name as the book, The Miracle Morning For Parents And Families. I'm literally in there every single day, so it's probably the best place. We have a website too called gratefulparent.com and there's a bunch of resources on there like books that we love, coaches we've worked with in the past, or friends. ALLIE: Awesome. I love that. You were really inspiring and it was really helpful and tactical advice. People like that and they're gonna want to find more about you. Thank you so much. This was great. We'll link to everything in show notes for you guys. Thank you, Lindsey, so much for your time and we will talk to you maybe again someday. Having a morning ritual can completely change the flow of your day. Some morning rituals are all about productivity, getting things done before the kids wake-up, and others are more about self-care. There is no right or wrong when you create your routine, it all depends on what season of life you’re in. My morning ritual began when my husband was still working outside the home, as a way to build and grow my business. Since that time so much has changed in my life. I had a period of time where I’d jump out of bed and get started on my tasks for the day, but I’m at a point now where being able to deeply focus on myself and self-care will be more beneficial to my day. Seasons change and good routines adapt to fit those changes! One last note, I used to be a night owl, but I knew how much more purposeful my days would be if I began rising her earlier. It was a process, but it was worth putting the effort in to switch to a early bird.